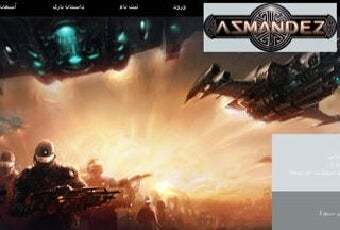 With help from a national foundation for games development, Iran has published the country's first online game, an MMO called Asmandez. Asmandez - its English title is Sky Fortress - supports 5,000 users at the same time. The head of Iran's National Foundation for Computer Games said it was developed in hopes of inspiring other Iranians to enter the games development field. Leave the stereotypes about Iranian theocracy, Sky Fortress sounds decidedly secular in nature. It's a science-fiction game set in the future, pitting humans against robots. Humans have been forced to flee to another solar system, named Limbas, to begin a new life there. An English-localized version was also developed. The game also is designed to allow access to the visually impaired, through the use of audio cues. "Some 10 million people use computer games in Iran, only 100 of which can design and develop video games," said Behrouz Minai, the head of Iran's National Foundation for Computer Games. "Sky Fortress is our first step towards encouraging young Iranians to become game developers rather than being mere players."